Check out this podcast on Access Radio No Labels, as we explore the issues facing pedestrians and our footpaths in 2019. Are we moving forwards to a bright future of safe, pleasant footpaths and pedestrian friendly public spaces, or are we steering in a different direction? What action can we take to support walking, and why is it important. Thomas and Ellen explore some of these important issues about accessibility and better places for us to live. Let's Get Wellington is a once in a long-time opportunity to improve transport in our city. Please make a submission with our helpful ideas below. 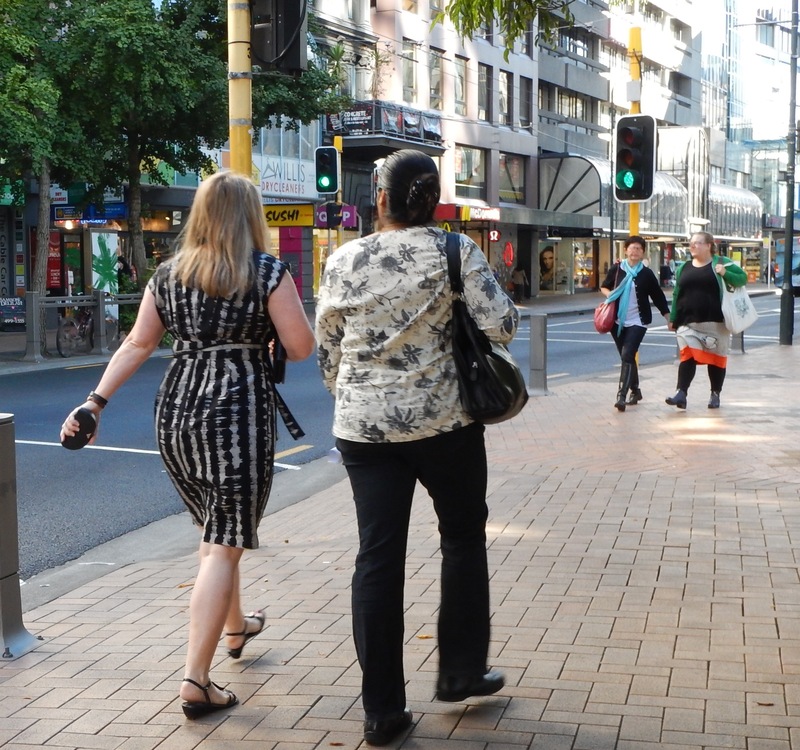 New Zealand’s first national Walking Summit inspired pedestrian advocates, disability groups, sustainability experts and politicians to propose workable solutions to get New Zealanders walking. An outcome of the Summit was this four point plan to significantly improve the position of pedestrians and walking in New Zealand. My name is Murray Darroch and since the beginning of the 21st century I have been living in Tawa, Wellington. During the period 1973-1989 I lived in Hataitai at 14 Hepara Street. Another step forward for the major Wellington transport project shows some interesting results for pedestrians but will it follow through? Benchmarking Walking in Six New Zealand Cities. The local government election voting papers have gone out and now it is up to us to use our powerful voice and vote for a more walking friendly place. Walking is the human mode of transport that is much more than just a way to get from one place to the other – and this is how it rates on candidate election platforms. Line down the centre of the footpath. Meanwhile, this just in from the "New Zealand history and natural heritage" Facebook page. From 1923 until the 1970s there was a bylaw requiring pedestrians to keep left on the major throughfares of the inner city. The footpaths were painted with lines to facilitate this until the bylaw wasabolished in the early 1970s. The elimination of the bylaw was due to the dramatic drop in the number of pedestrians in the inner city becuase so many daytime shoppers were favouring suburban malls.